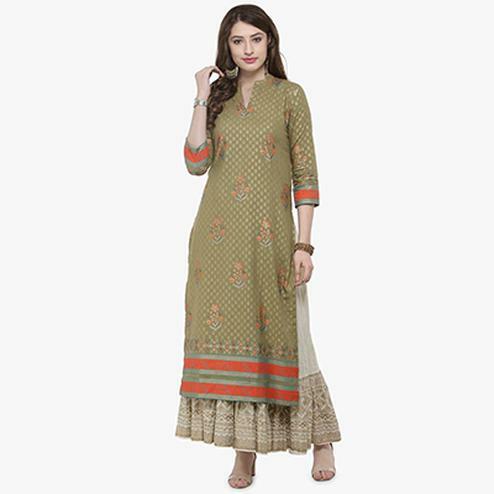 You would look beautiful and stylish when you wear this green kurti. This kurti designed using georgette fabric has got side slit, round neck, full size sleeves, embroidery work and decorative buttons as shown. Available with santoon fabric lining. Team it with fashionable earrings, clutch and high heels for a complete look. Ideal for weekend get together and casual outings.